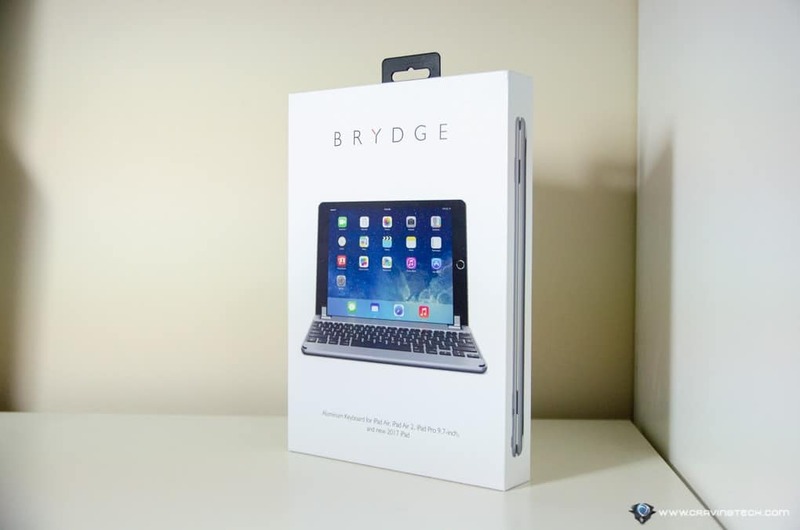 Brydge 9.7 Review [Keyboard for iPad] - Transforms iPad to a "MacBook"
Brydge 9.7 Review – The Brydge 9.7 is a Bluetooth keyboard that virtually transforms your iPad into a MacBook-look and feel. Brydge 9.7 is compatible with the 9.7″ new iPad 2018 (6th Gen), iPad 2017 (5th Gen), iPad Pro 9.7″, iPad Air 2 and iPad Air 1. 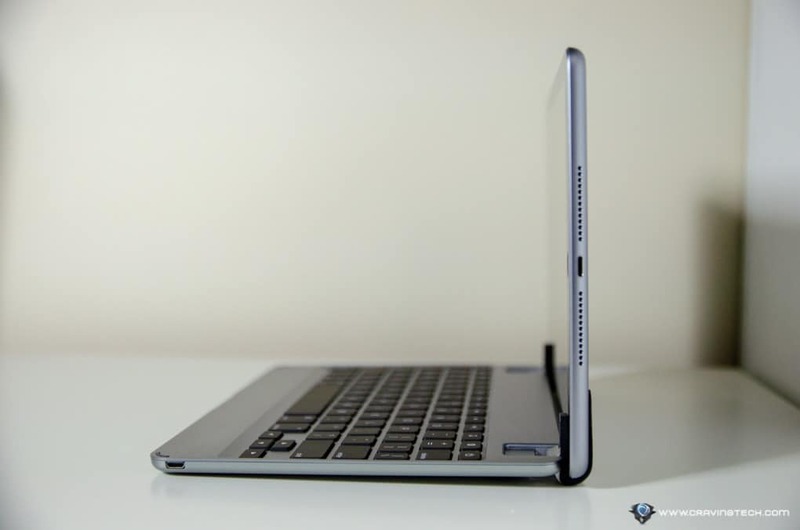 This is a Brydge Keyboard without a built-in speaker and I don’t mind it at all. All I’d love to have is a great keyboard for my iPad to type articles and notes quickly, and I rarely use my iPad as an “entertainment center” anyway. 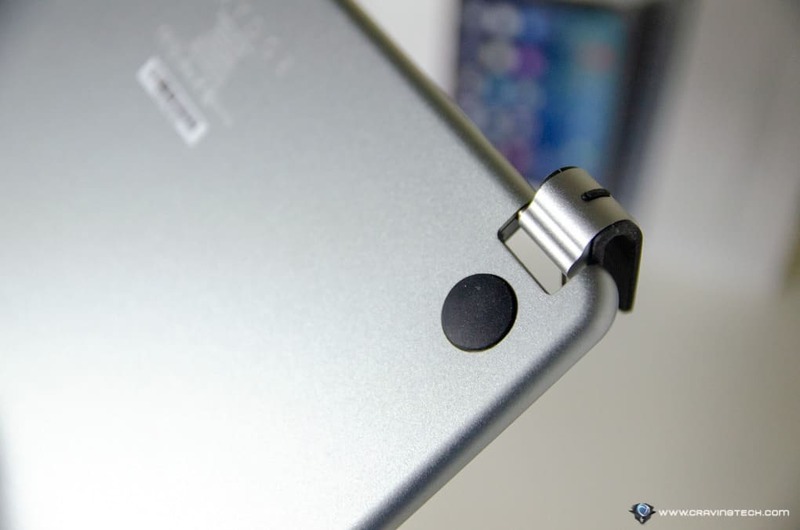 It’s compatible with different thickness on different iPad models because it includes an extra rubber hinge pad (in different size), which you need to swap over after opening the packaging (if needed) to suit your iPad. 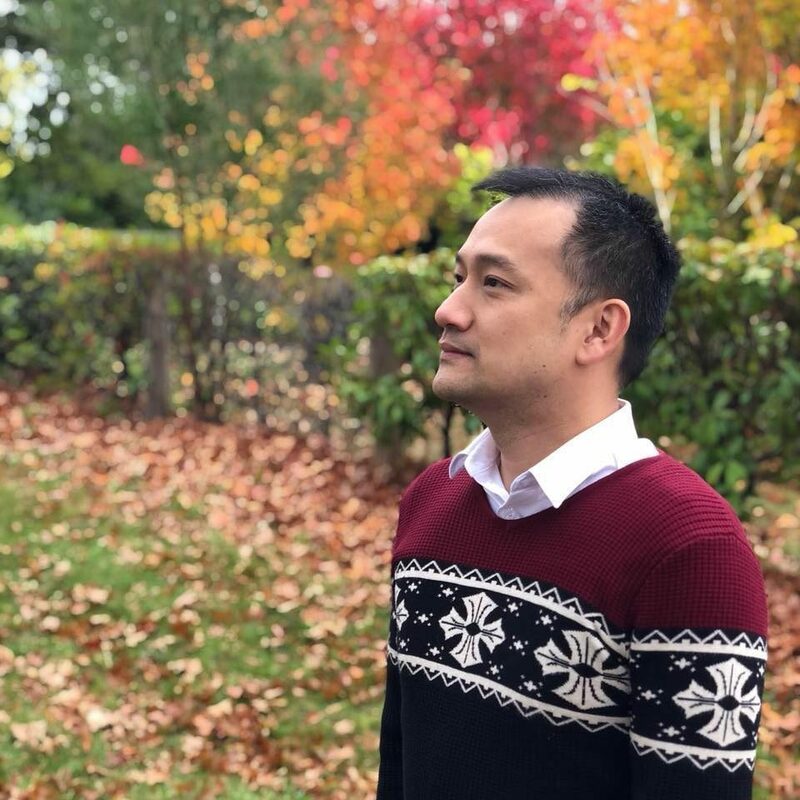 Brydge 9.7 fits well with the iPad 2018 (9.7″) that I just bought and it feels as if I have a mini MacBook Air with touch screen at my disposal. 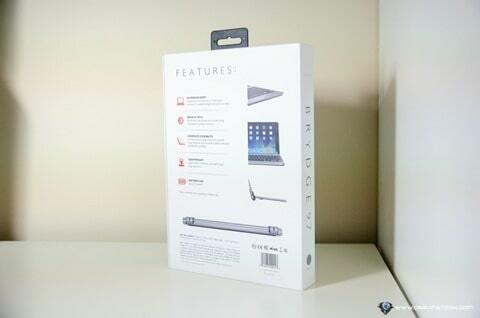 It’s made of high-grade aluminium material and you can definitely feel its quality. It’s as if you are typing on a MacBook, minus having the trackpad, or having a MacBook keyboard sawn in half. 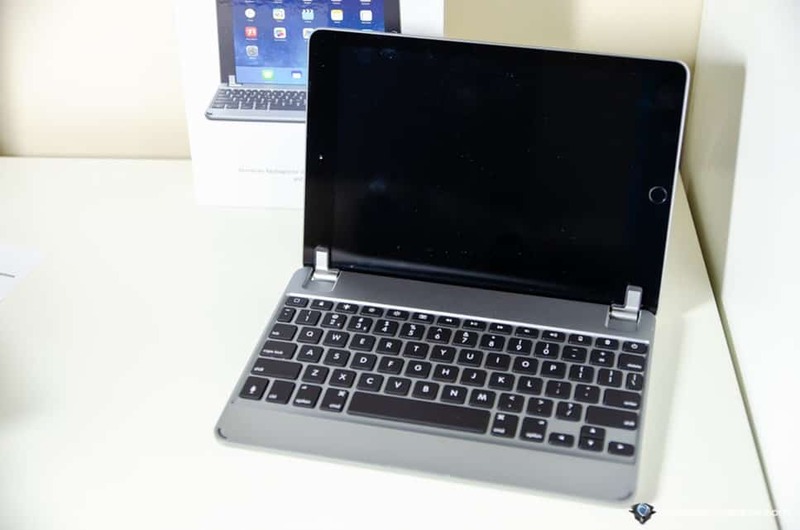 Brydge makes the keyboard available in a variety of iPad colours to match: Space Grey, Silver, and Gold (no Rose Gold and Red, however). The one I have here is the Space Grey. At 480 grams, this is definitely not the lightest Bluetooth keyboard around, but Brydge keyboard is as sturdy as the iPad itself and complements it well. It’s designed precisely to match the dimensions and weight of the iPad to make sure it doesn’t feel wobbly, or out of alignment. Not to mention the similarity in textures and colour. The iPad fits super-sturdily on the hinge, which is great for those who want to make sure the iPad will never fall off it. 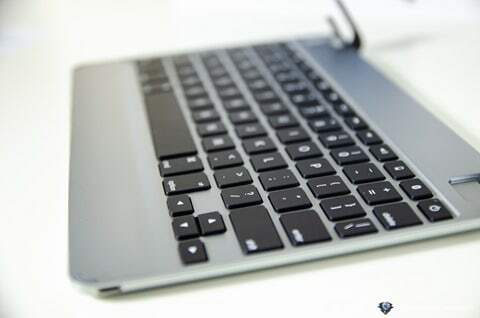 I’ve been using the Logitech Ultrathin keyboard on my old iPad Air and I always got scared that my iPad would fall off when I typed on the lap. 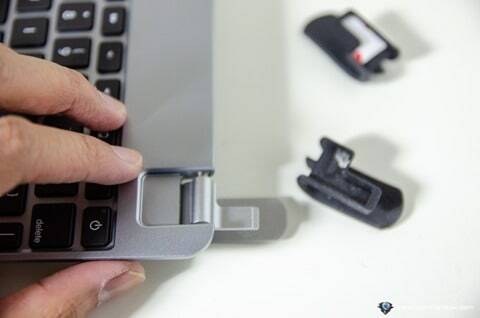 Brydge Keyboard offers a secure, solid grip. However, this means if you like to take your iPad off multiple times a day from the Brydge keyboard, you may not like this stiff design as it takes a good effort to pull it off the hinge (or to put it back). 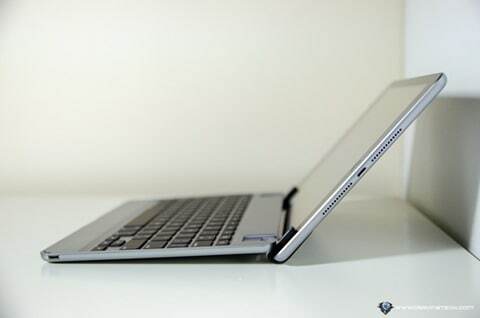 The Brydge Keyboard has an up to 180 degrees of viewing angle which gives you great flexibilities. Typing on the lap? Typing on a desk? Or typing on a tight, Economy class seat? Brydge Keyboard’s got you covered! 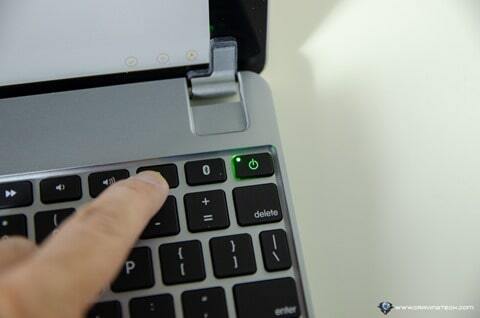 The keyboard itself is backlit and has 3 different backlit brightness that you can set easily with a tap on the keyboard. There are also handy buttons such as Home, Volume Controls, Screen brightness, and a way to check the Battery Level on the keyboard (it has around 3 months of battery life, according to Brydge). What about typing experience on the Brydge 9.7 Bluetooth Keyboard? The experience feels phenomenal as if you are typing on a MacBook itself. However, I do find that the keys are stiffer than I’m used to, so when I type really quickly (and I type around 100-120 words per minute-ish), I occasionally would miss a letter. 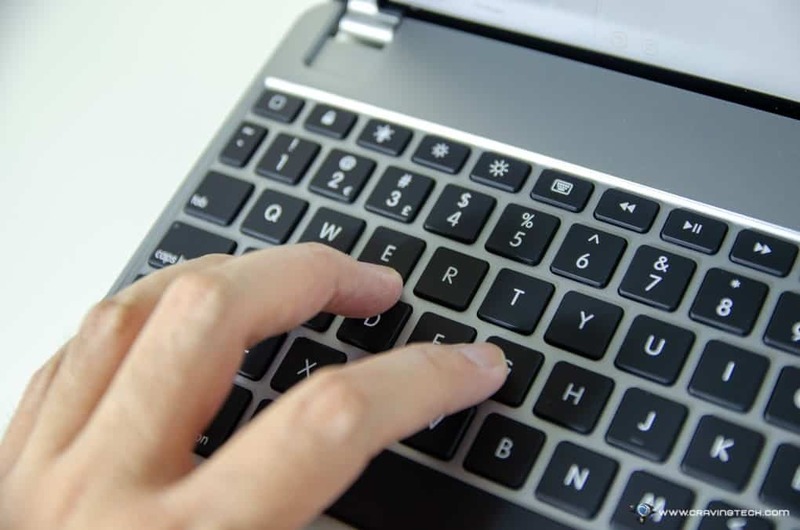 The good side is that every key press is satisfying and you’ll feel it being registered as you type, which gives you a good tactile feedback. 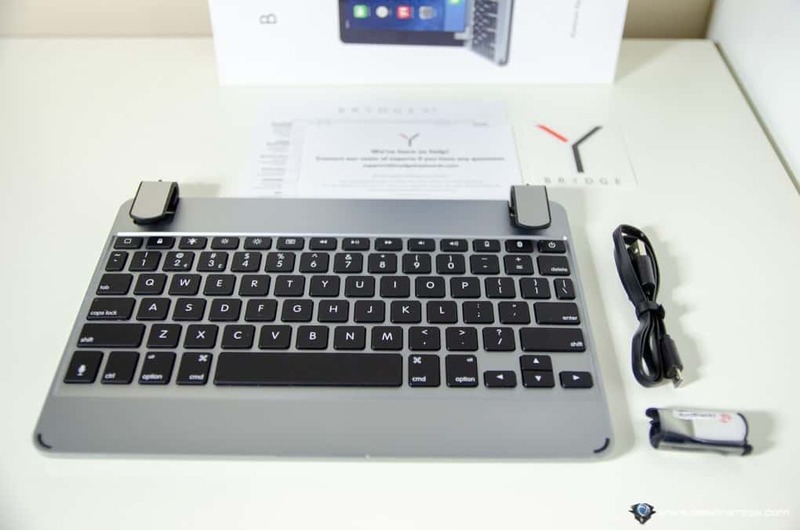 Brydge 9.7 Bluetooth Keyboard is the most laptop-like Bluetooth keyboard for the iPad that I’ve ever used and reviewed here at Craving Tech. 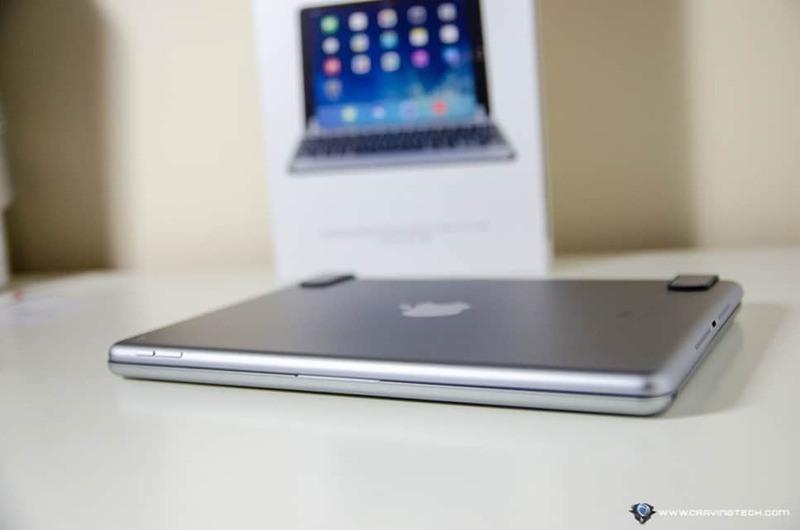 It looks and feels like the iPad’s other half that go missing. I type on the iPad on my lap a lot and I really appreciate Brydge Keyboard’s sturdy design and the generous flexibility of viewing angle that I can change at will easily. The keys give good tactile feedback and both the iPad and keyboard do not wiggle while I type. The keys are stiffer than I used to type so if I’m typing too fast, I tend to miss a letter here and there. But after some adjustment to the way I type, this is not so much of a problem any longer. 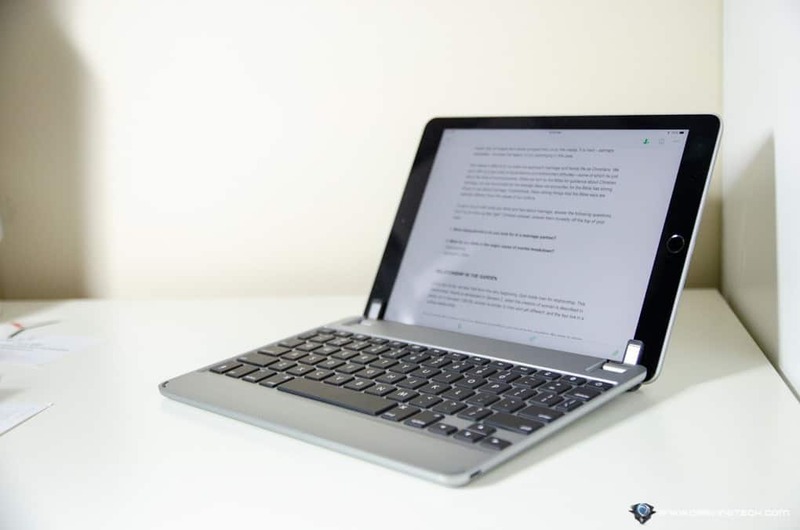 If you want to get the best look-and-feel of an iPad keyboard that feels like it’s really a part of it (and making it look like a mini MacBook), the Brydge Keyboard should be on top of your list.